Haines makes you feel good all under. Alaska is a big place. You can multiply Texas by two and it’s still quite a bit larger than that. Because Alaska is so big, it’s no surprise that there are many cities, towns, and municipalities. Skagway is a very popular place to visit because it’s the best place in Alaska. However, just 15 miles south is a town called Haines. It has a larger population than Skagway and there are many many fun things to do if they’re open and you can figure out how to get there. In today’s blog, I am going to tell you something about Haines. 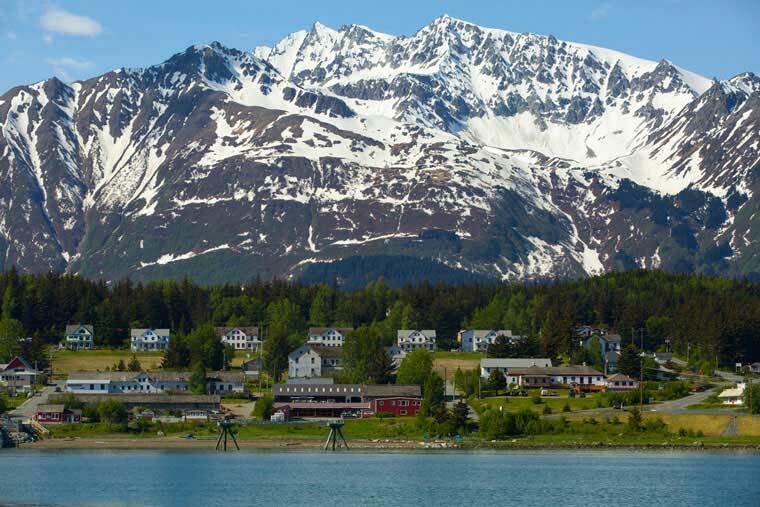 Getting to Haines can be tricky if you’re not on one of the few cruise ships that docks there. If you’re coming to Skagway, you can take a ferry over to Haines. You can drive too, but it’s 359 miles because you have to go the long way. It would be quicker to swim if the water weren’t so cold that you would die. You can also travel independently to Haines.if you’re into that kind of thing. There are a few things to do in Haines. I like to go to the Fogcutter Bar and drink beer. When the fair is in town, my wife makes me go to that. I eat fair food and look at the exhibits. It takes about 45 minutes and then I just do whatever she tells me to do. The thing I enjoy most in Haines is to take my canoe out on Chilkoot Lake for some fishing and wildlife viewing. I’ve seen bears feeding on salmon, which was pretty neat. Last year I watched a couple of eagles in the woods eating salmon, which I didn’t expect. I caught a few fish too. My canoe has a motor because you can’t drink a beer and row at the same time. I also fish for coho salmon on the Chilkat River during the fall. I catch a lot of fish because I am good at fishing. How do you get around in Haines? Good question. You need a car or a bike. Sometimes there is a guy running a taxi but not very often. When you need a taxi, it won’t be available. When you don’t need it, it is everywhere. I think that it’s just some guy with a van trying to make a few extra bucks. Make sure he’s sober. Where do I stay in Haines? You should stay at the Captain’s Choice Hotel. The lady that runs it is a gem. They also have coffee and it’s a short walk to the Fogcutter Bar. I stayed at this other hotel one time because the Captain’s Choice was full. Big mistake. Some giant bug flew across the room and the bed was nasty. I would rather sleep outside than in that place again. Where should I eat in Haines? I eat at the Bamboo Room for breakfast and lunch. You never really know what’s going to be open, so you’ll just have to take what you can get. The Mountain Market is pretty good. There used to be this great Mexican restaurant but they closed. When the fair is happening, you can just eat there. Eat the corn on the cob and halibut tacos. Thank me later. As you can see, Haines is a cultural Mecca that is not to be missed. Be sure to stop by the Hammer Museum and see if any of the gift shops are open while you’re there. You never know!